Patagonia Inc. is a company from California, where they are still based today. Since 1973, Patagonia have been producing premium outdoor clothing for Skiing, Snowboarding, Skateboarding, Surfing, Climbing, Trail Running and Fly Fishing. Patagonia are originally a company who made tools for climbers and have gradually grown to be the outdoor clothing giant they are today. Producing high quality technical clothing with simple designs and technical accessories for skiers, snowboarders, climbers, surfers, skateboarders, trail runners and fly fishermen is what Patagonia is all about. Producing such great products requires a large amount of resource input and creates pollution as a by-product. To reduce environmental impact and any potential future effect on the sports they love, Patagonia work to reduce these harmful effects by using recycled polyester, organic cotton and by donating their time, services and at least 1% of sales to grassroots environmental groups. Waterproof and breathable 2.5 layer rain jacket from Patagonia. Premium quality 100% recycled Patagonia long sleeve T-shirt. Specifically built for rock climbing, these pants are stretchy, abrasion resistant and have a casual style. Women's technical Waterproof trousers from Patagonia. 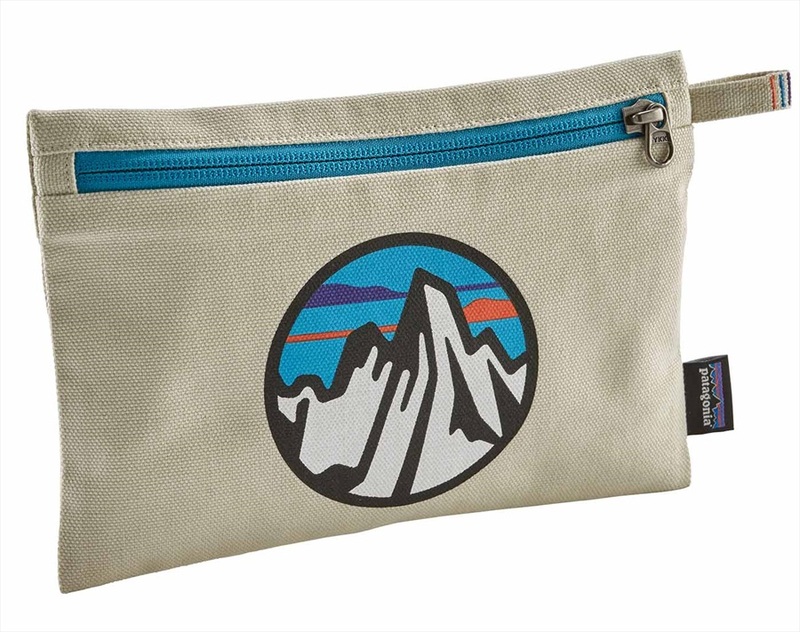 Tough and compact duffel bag from Patagonia. 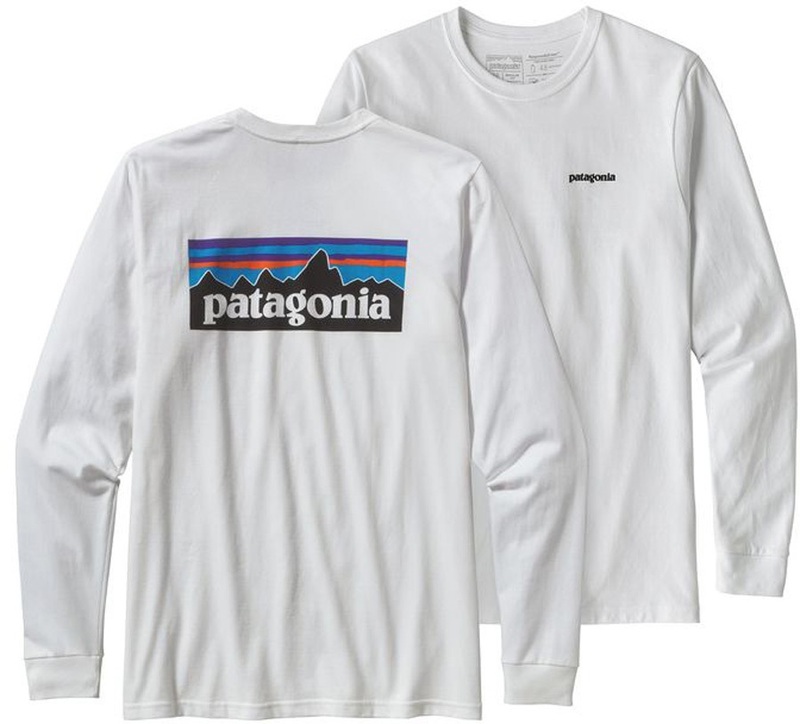 Patagonia long sleeve boys t-shirt for every day adventures. 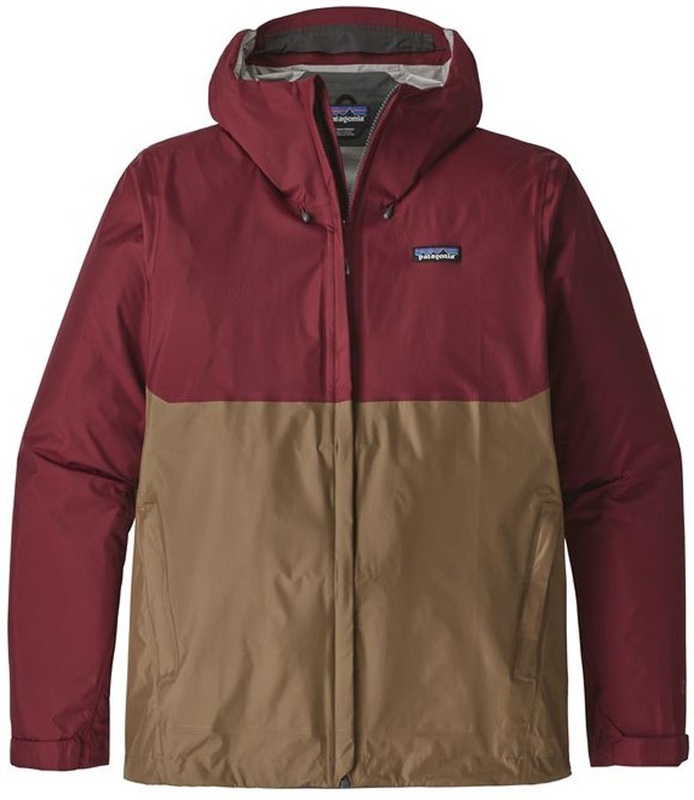 Patagonia's classic insulated hoody now available as a pullover. Designed by climbers, for climbers. Cool and stretchy shorts which are comfortable under a harness. Save the planet by wearing this organic cotton t-shirt from Patagonia. Lightly insulated with a moderate tailored fit makes this the go to jacket for skiers looking for a longer fitting, highly technical Gore-Tex jacket. Female specific 3-D knit baselayer merino-polyester leggings from Patagonia. Yoga pant comfort with climbing pant tech from Patagonia. Waterproof and breathable pullover rain jacket from Patagonia. Classic mesh trucker cap from Patagonia with adjustable back. Super-stylish, durable and eco-friendly climbing trousers from Patagonia.